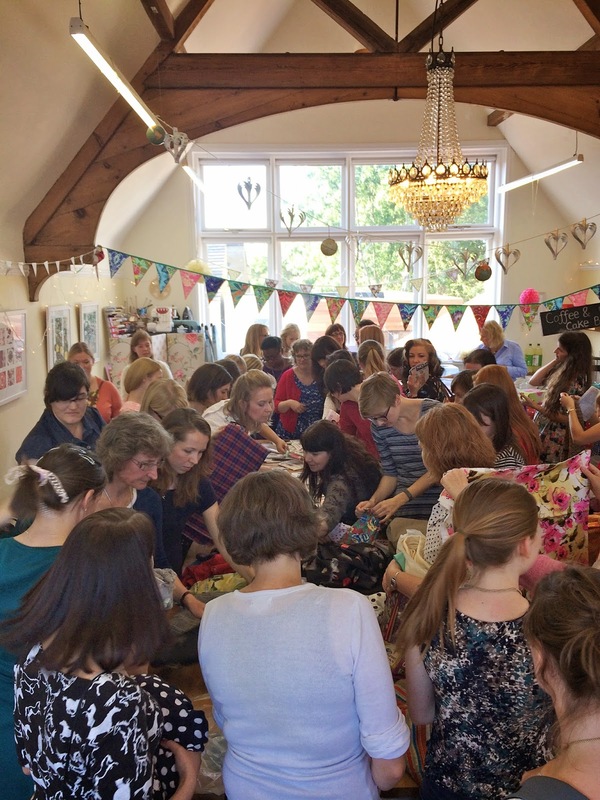 yesterday, i went to my first ever sewing meet up! charlotte from english girl at home arranged it. i was quite nervous because i didn’t know anyone at the meet up. luckily i’d put the feelers out on instagram and a few people replied, yay! i pottered about with alex, megan and victoria who also didn’t know any body either. yay for being alone! haha. 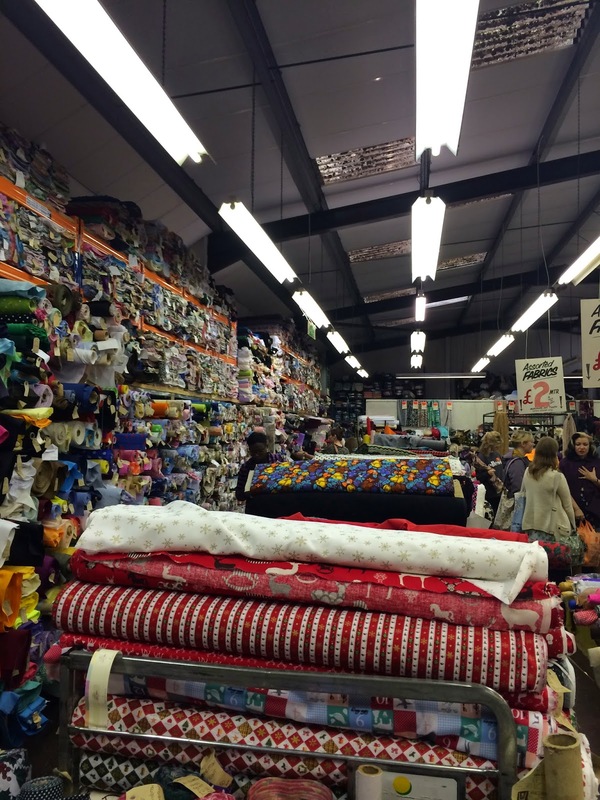 first stop on our jaunt around birmingham was barry’s fabrics. i like barry’s, much more than i like the fancy silk store. here’s a picture of people inside. SO MUCH FABRIC! 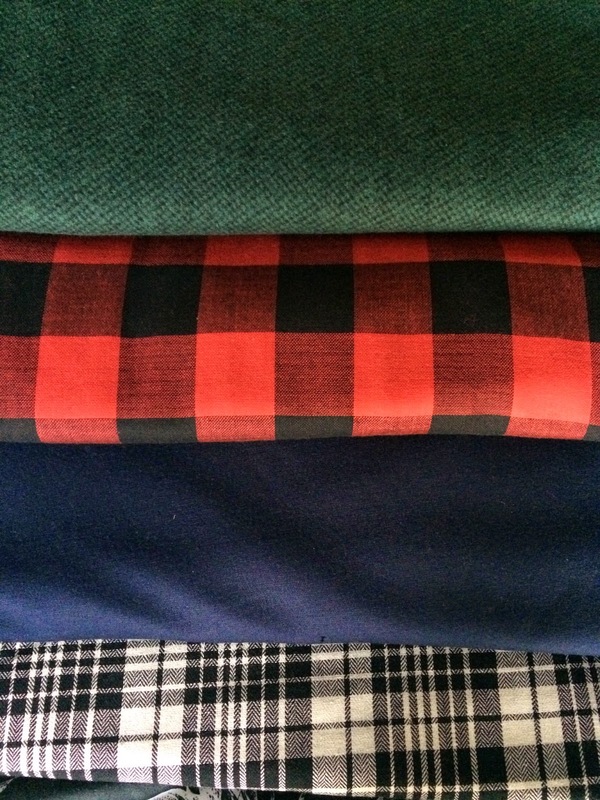 EVEN MORE FABRIC! barry’s rules. i followed alex around for a while because she had some tartan that i liked and wanted, haha. i forgot to take pictures inside the fancy silk store because… idk. haha. we then went to moseley to go to guthrie and ghani. we hadn’t had anything to eat, so a few people went for lunch at the village pub a couple of doors up. i just had some chips to save room for cakes at the shop! here’s everyone milling around the studio space at guthrie and ghani. we had a raffle to raise money for parkinsons. alex won a great clover sewing set, it had so much amazing stuff in! 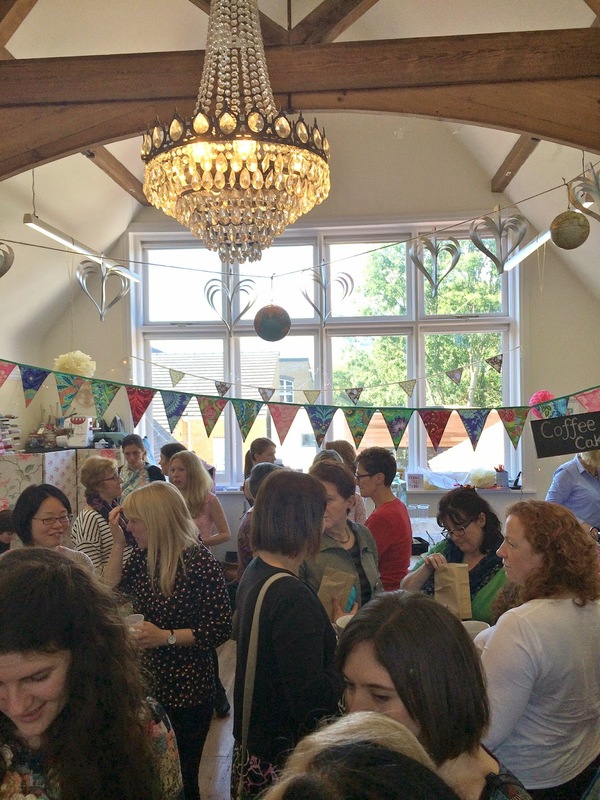 we then arranged the tables in the middle of the room for a fabric and pattern swap. i took some flower cath kidston-ish material and a couple of new look patterns. i think you can just about see some fabric in this picture! GREEN WOOL. i cannot even begin to tell you how much i FLIPPING LOVE THIS WOOL. it’s got black bits in (might be worth expanding the picture to see) and it is so so so so soooo soft. THE SOFTEST. you know some times how wool can be itchy? forget that, there is nothing itchy about this! i was going to make it into a cardigan, but now i’m thinking i might go for a close fitting jumper. i might use the plantain pattern from deer and doe for it. i got it from the rag market, and after deliberating about it, i ran back to get it as my impulse-definitely-don’t-need-but-really-really-want-purchase. then i got my ultimate find of the day. red and black buffalo check. do you know how hard this is to find, genuinely? i’ve been looking all over – NOT EVEN THE INTERNET COULD HELP ME. however, trusty old birmingham rag market saved the day. you lovely, smell, dirty old place. the best bit was this was only £3 a metre!!!! WHAAAATTTT. archer shirt in the pipeline with this! i got this from barry’s and i think it was £4.95ish per metre. the black and white check is another from barry’s, i’m losing enthusiasm for this one as i found my ultimate dream buffalo check. however, when it’s sewn up (into an archer again, I’M SO IMAGINATIVE!) i think it will become a wardrobe regular. it’s got the softest backing so it’s going to be super snug! 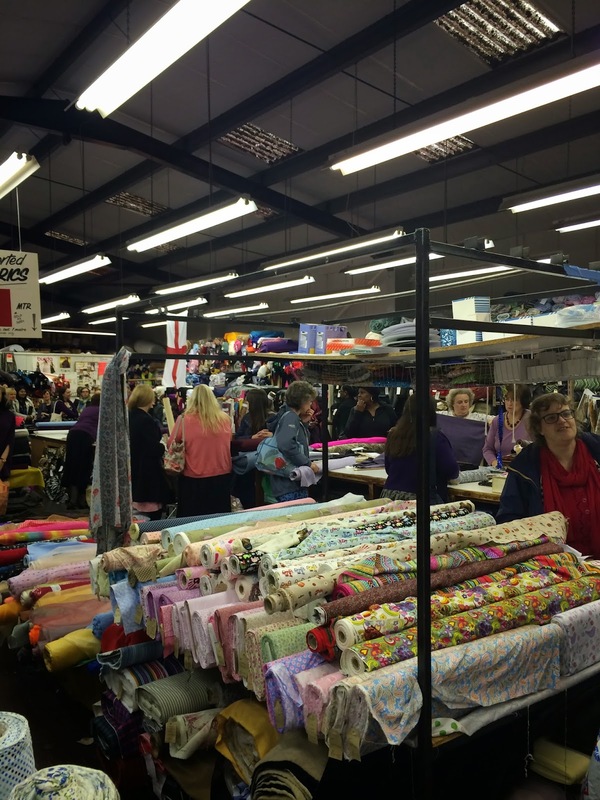 Shopping days with sewing friends are the best, gorgeous fabric! thanks, so excited to start making! Was really amazing to meet you yesterday! Yey for lone rangers eh? On another note, I flippin' love the name of your blog – why didn't you mention this yesterday?! Can't wait to read more and maybe meet up again! So jealous of that wool! 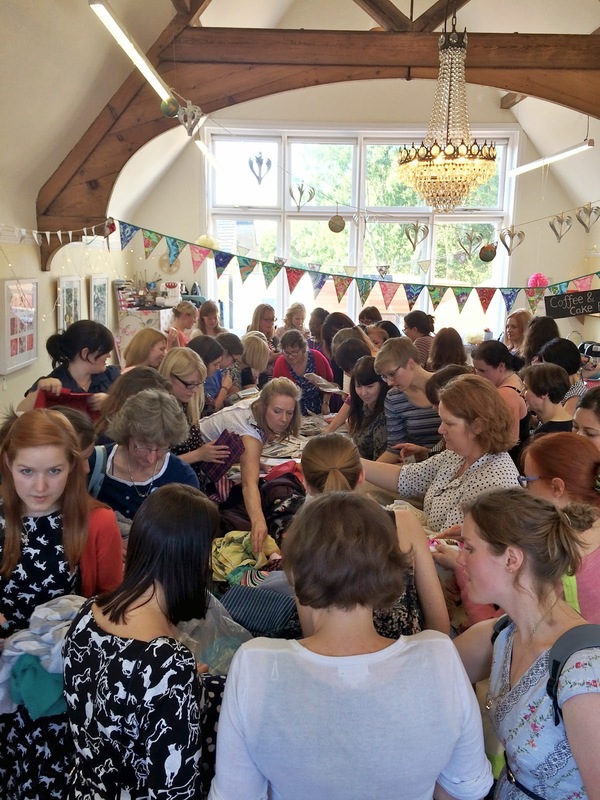 Sewing meet ups are the best! It was a great day and I'm glad you enjoyed your first one. Thanks for bringing the cakes – they were delicious! I'm glad you enjoyed them! it was such a good day. would definitely do it again! Aww, it was lovely to meet you, albeit briefly! The swap was the first one I've seen, it was crazy!! Can't wait to see what you make with your lovely wool!